Archiware P5 Backup2Go [SPAWB900-N] : Datastor, Datastor Australia is a value-added distributor of IT products specializing in Data Storage, Data Protection, Business Continuity and Virtualization. 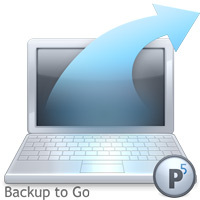 P5 Backup2Go is the ideal software to backup desktops and laptops to disk - regardless of their location. In the office, on the road or at home, P5 works cross platform on Mac, Linux, Windows and Solaris and allows mobile backups.